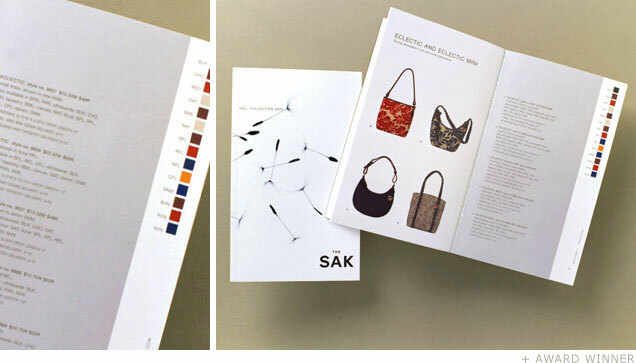 Wholesale catalogue for The Sak, a handbag and accessories company known for its innovative use of textures. The underlying concept is that inspiration can be found in the most unexpected places and in the most fleeting of moments. The texture of each handbag collection is highlighted by the patterns on the adjoining photograph.